We don’t know when or if this item will be back in stock. Please find alternative products listed below. 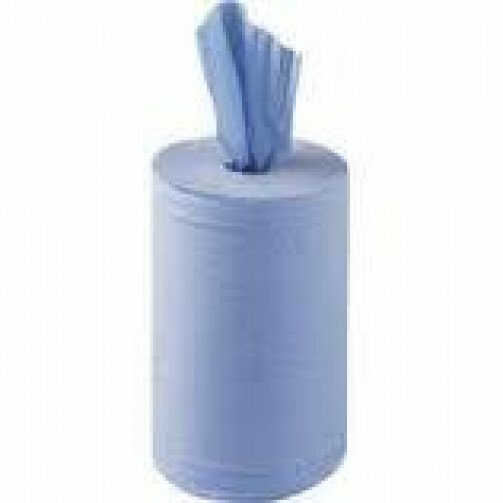 Roll Towels 1ply Blue x 6 rolls per case 175m per roll. Use with dispenser code DISB08. This Roll Towel Pacific System is very hygienic, its auto cut dispenser delivers pre-measured flat sheets that are open and ready to dry your hands. You only touch the paper not the dispenser, significantly reducing the dangers of cross contamination, saves up to 40% of paper when compared to conventional centrefeed products. Ideal for use in health care and food processing areas such as kitchens, hospitals and factories.